Challenge: Employment opportunities are not evenly distributed across the UK, and the poorest communities are often more disadvantaged in terms of access to affordable workspace, services and economic opportunities. Underinvestment has led to a prevalence of derelict land, which can aggravate social, economic and environmental issues. But these challenges – underutilised property and unmet demand – also present opportunities for growth. SMEs are particularly key to economic growth, contributing disproportionately to job creation. Investable Solution: Bridges Property Alternatives Fund III acquired the Flexspace portfolio from Europa Capital, comprising eight properties of small office and light industrial/workshop units run on a flexible leasing model. The centres provide a total lettable area of 638,000 sq ft in 517 units. Tenants include SME businesses in manufacturing, distribution, engineering, leisure, retails and design etc. 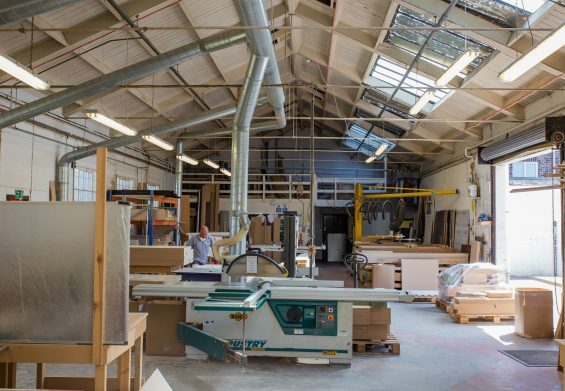 Outcomes: Over half the Flexspace portfolio is located in underserved areas and the properties are aimed at and almost exclusively occupied by SME businesses. There is potential to increase occupancy with local businesses. There is also potential to reduce electricity consumption through the additions of sub-metering, LED lighting and energy-efficient repairs.